Blogger sure slowed us all down for a while but we want to thank you all for your patience while we waited for the big Blogger lock out of 2011 to end! Last week was a total blast! 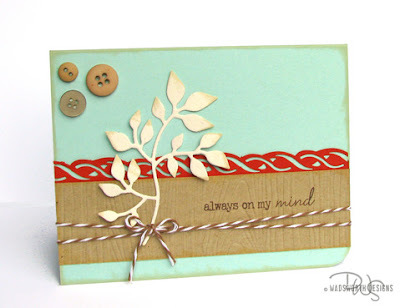 We loved your creations and LOVED getting to visit your blogs! 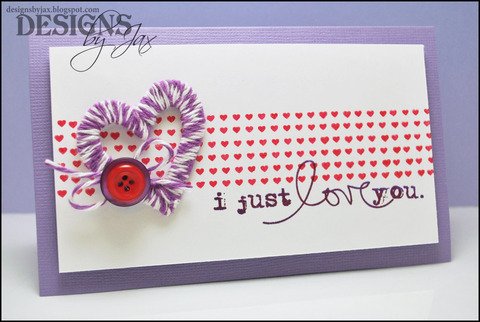 You blew us away with your creativity and we want more! 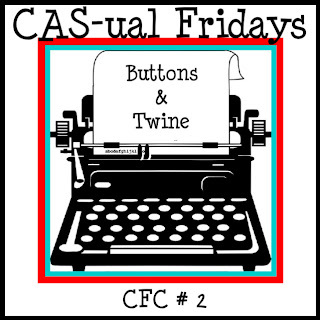 Simply create a new CAS project using buttons AND twine. 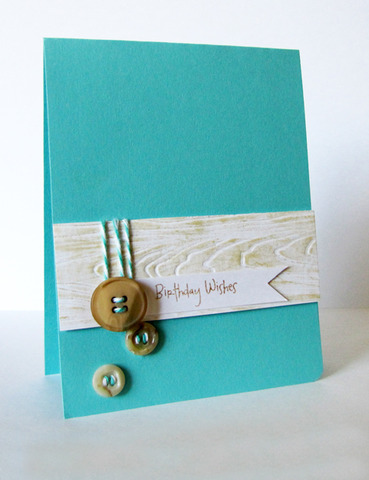 Bakers twine, jute twine, you can even substitute embroidery floss if you don't own any twine. And who doesn't love to play with buttons?? 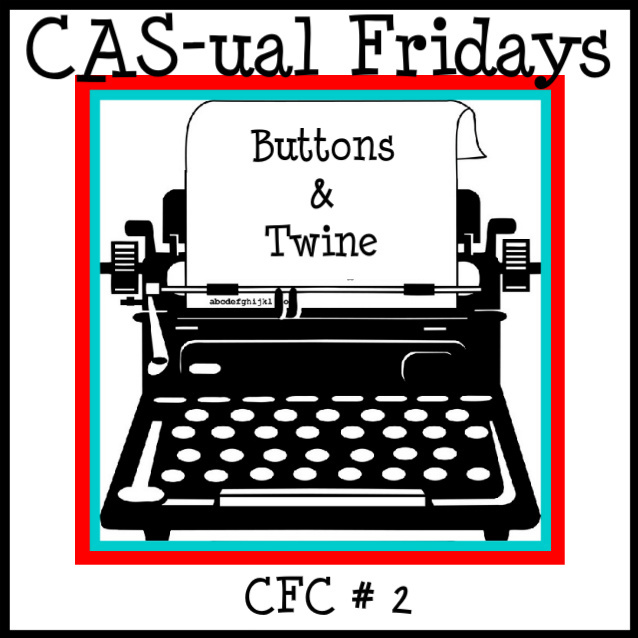 additionally, we have a special little CAS-ual Fridays players perk for you! 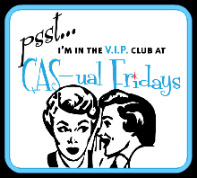 is offering a special 15% discount to all CAS-ual Fridays Challenge players! Simply use this code: CASUAL15 at checkout to receive your savings! 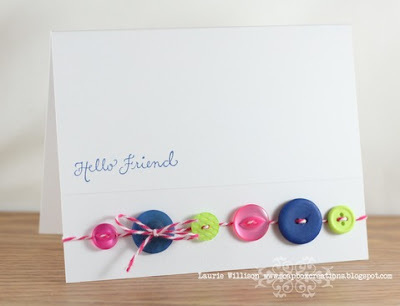 Our Girl Fridays had a blast playing with their Boutique Buttons and twine! Due to all the Blogger drama, a lot of saved info was lost so please be patient with our Girl Fridays while they work to get their posts up and running again on their blogs. Our easy to follow challenge guidelines are available on our Rules tab at the top of the page. so your friends can come play with us too! to link your project right here. then visit the gallery and leave some love for your neighbors too! You can visit all our winners in the T.G.I.F and V.I.P. tabs at the top of the blog! Hey, that's me! I had to blink a few times to believe it!! 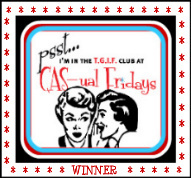 I'm so thrilled to be the first ever TGIF Club Winner! Thank you, thank you, thank you and congratulations to the VIPs!! Holy cow that winner card is fabulous! Congrats Emily! And congrats to all the VIPs!! Congrats to Emily, Deanna, Leigh Ann, Kasia and Lindsay!! LOVE all the entries for our first challenge and I can't wait to see more with buttons and twines! 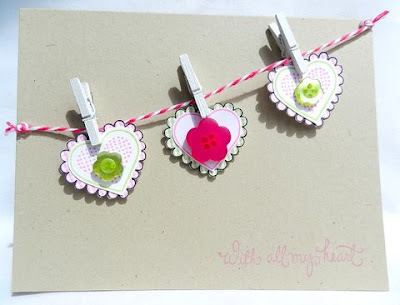 Thank you to everyone who visited my blog and took the time to comment I was thrilled to see you. Congrats to Emily for the big win! I must say I am EXTREMELY happy to be a VIP! Thanks and Yipee! Congrats to all the winners! 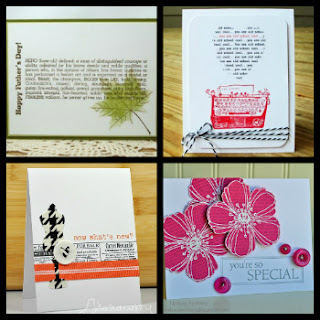 So many fantastic cards this week! We are off to such a great start! Can't wait to see some more cards for the new challenge! 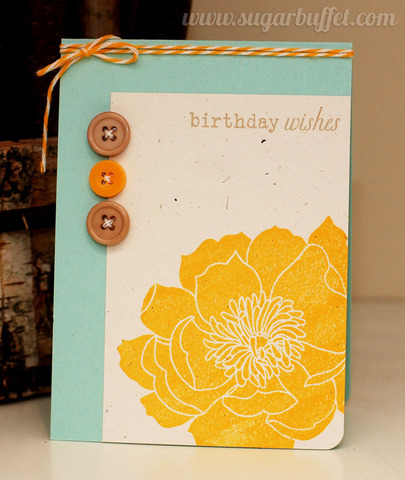 Congrats to Emily, such a sweet card and to all the VIP's. Looking forward to working on the next challenge! congrats to all! and fab card Emily! love it! Thanks for all the inspiration DT gals! Big accolades to the winners this week! 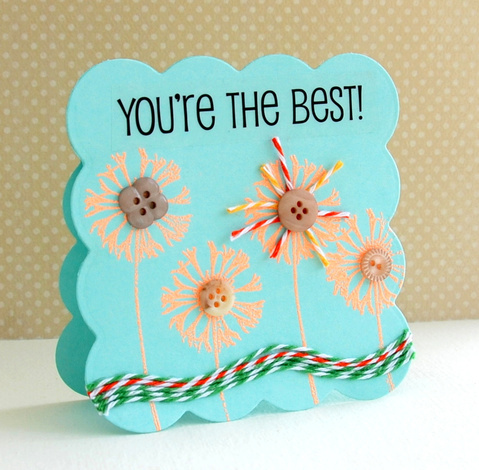 Emily, Kasia, Leigh Ann, Lindsay and Deanna had some amazing projects to share, as did 160+ more of you! I'm so happy to visit so many blogs and get to know our participants...keep 'em coming! Congrats to all of the awesome winners......well deserved!!! Awesome challenge and the DT cards are so so rad!!! Will play soon!!! 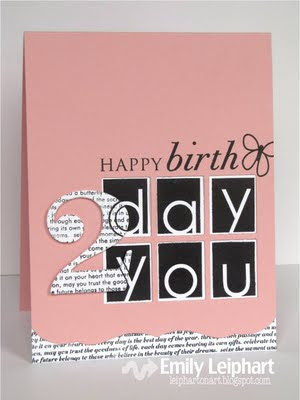 Congrats to Emily..what an amazing card. And congrats to my fellow VIP. This is my first honor and I'm so excited. Thank you! Congrats to Emily ... your card is truly amazing ... love it. And a congrats to all the VIP's love each and every one of your creations!!! 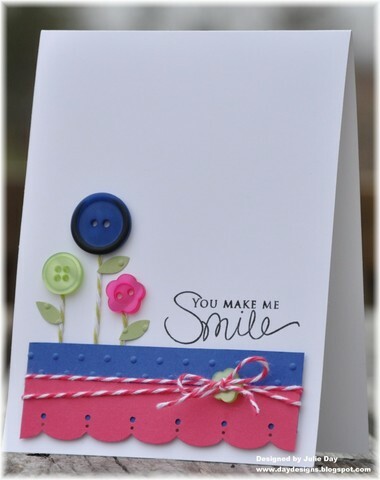 Sorry about that...just linked up my card and selected the CAS-ual Friday's picture instead of the pic of my card...not sure how to change! Had happy fingers this morning and clicked too fast! Beautiful Cards, thanks for the challenge! Wonderful inspiration. I'm so glad I found your blog and will definitely be back to play again. Congratulations on this wonderful, new challenge. The Girl Fridays did a spectacular job. Congrats to last week's winners. Ugh, Blogger is still having issues.. I went to post my card Tuesday night, and all I'm getting is text, I can't add a photo... I think I'm going to try and close everything, and see if resetting and clearing the cache works. thanks for the great challenge! congrats, everyone! Great challenge and AWESOME samples! I lost track of time this week...and didn't get my card finished in time...but I will still post it on my blog. I look forward to each new Friday Challenge!!! Great challenge, I am so gutted that I have been chasing my tail this week and only got my card photoed for this weeks challenge today, and so missed the deadline! With blogger being down last week it has really thrown me. 5 p m Ca time, just added my tag and went to upload! oops, sorry to have missed it! I will leave it up amy way!